Interestingly enough, it seems there's often a link between magic, gnomes and the amanita mushroom. The Smurfs comic is another great example of the presence of the amanita muscaria in popular culture. 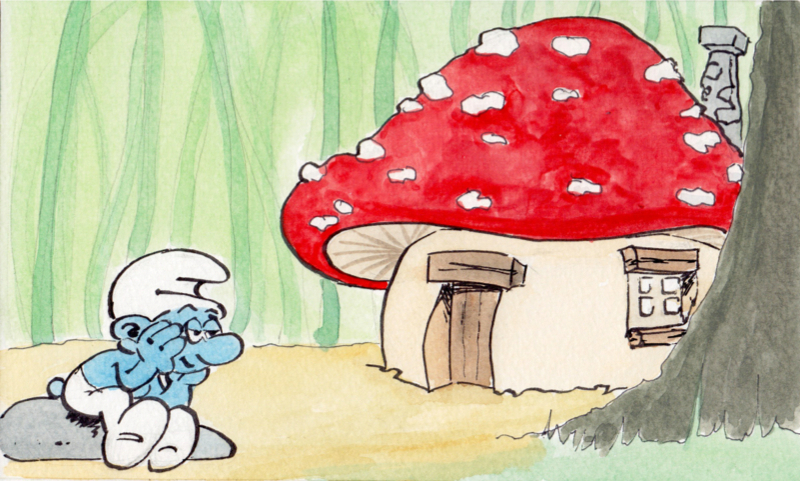 In this storyline, the little blue gnomes-like creature live inside the mushrooms somewhere deep in the forest. Gargamel, a wizard, is always trying to catch them.